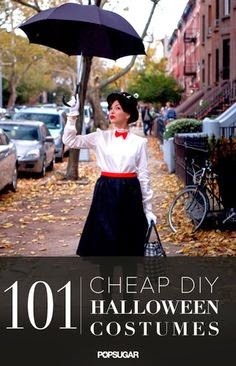 After much thought, and many hours of browsing Pinterest for inspiration, we have decided what we're going to be! Not telling you yet, though, you'll just have to wait for pictures. Sorry! Of course we had to do a "family coordinated" costume. Isn't that what you do once you have a baby? Here's a hint: I'm not being a naughty nurse. Or Elsa. So, if you're like me and always wait til the last minute, here are a few ideas for ya! They may not be the most original, but it's always fun to put your own spin on a classic costume. OR maybe they'll inspire you to do something different and great! Can't wait to see all of your costumes! I was surprised, but not surprised, as to how many little girls (and a mom) were Elsa at our ward's Trunk or Treat. Can't wait to see what you guys picked!